The Nintendo Switch’s launch lineup was a weird one – one masterpiece in the form of The Legend of Zelda: Breath of the Wild and a very small handful of other less significant games. Even fewer of these were available physically. I found it immensely odd that a version of Bomberman joined those ranks. A game series older than I am and one which is pretty much mechanically identical in every version, I bought it for Switch early on (for lack of anything else worth buying, having finished Zelda). It cost me £40. How was it? Mechanically, Super Bomberman R is indeed a Bomberman game. Incase you’re one of today’s 10,000, in Bomberman you fight a number of adversaries in a gridded battlefield littered with destructible and indestructible walls using your limitless supply of bombs. These bombs, when they detonate, explode in the four cardinal directions until their range runs out or they hit a wall in that direction, and wipe out any player that falls within their blast radius. The game sees you clear yourself a path with these bombs, picking up powerups to do things like improve their range, increase the number of bombs you can have dropped simultaneously, as well as allow you to do special things like kick dropped bombs across the floor or even throw them over walls. At its heart, Super Bomberman R is designed for multiplayer, and in that regard, the Nintendo Switch is a wonderful platform for it. 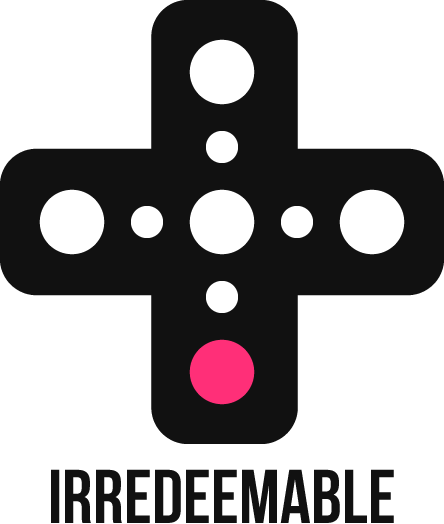 Its simplicity means that using a single Joy-con to play the game makes total sense. It’s easy to set up multiplayer battles on a single screen, which also works well with the game being set on a single area that you can see in its entirety at all times. But there isn’t enough substance to justify the game’s full price cost in multiplayer alone. There is also a story-based single player is in the game to allow you to unlock new maps and to accessorise your character. This is where Super Bomberman R really starts to fall down, sadly. It should have been packed with content to make the package worthwhile… but it’s not. It took me about two hours to complete the story mode. To add insult to injury, the story mode is already heavily repetitive, offering a variety of maps with a few different objectives to cycle through (kill all the enemies, survive X seconds while new enemies keep spawning, guide creatures to safety, all while playing Bomberman), and a boss in each stage that only really revolves around figuring out which part of it, or which thing around it, is the thing you have to bombard, and the story mode is shallow and lacklustre. The actual story itself is told through comic strip images, and feels cheap and tacked on in order to simply tie events together – if the game had been a linear progression of the 75 or so “stages”, it would have felt no different and foregone the minimal effort put into this aspect. To make matters even worse, the game seems to know how short its story is, because to actually unlock a decent amount of stuff, you have to play through the story mode over and over again. I’m bad at Bomberman so I’m aware that this probably affected how much of the game’s money I generated, but through my playthrough of the story, I earnt enough to buy one new map. And nothing else – no accessories, none of the other 10 or so map variations, just the one map. Super Bomberman R was only really recommendable if you constantly found yourself in situations where you wanted to game with other people in an environment where you had no other consoles available to you – in the months of March and April 2017, it was the best use of the Nintendo Switch’s unique features. But at the tail end of April, Mario Kart 8 Deluxe came out. And it’s left Super Bomberman R as a featureless, overly expensive and unenjoyable experience that cannot be recommended in any regard.